In a career spanning more than 20 years she has created over 60 shorts and 3 TV series. 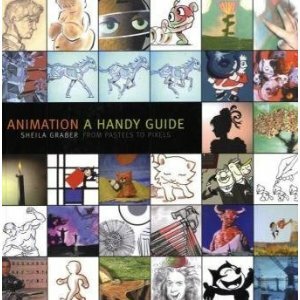 One of Sheila’s driving forces has been to “use animation as a means of communication not just for entertainment but for education and healing too”. She has run animation classes as far a field as Tunisia and Caracas, and gained an Alumni Fellowship from Sunderland University in 1998 for “Outstanding services to Education and Art”. Sheila is currently running a series of weekly art and animation classes for adults with special needs for the “Brothers of Charity” in Waterford, Ireland. This is a long term project of 4 years standing. The results are so successful she hopes to continue and evolve her work in this area. 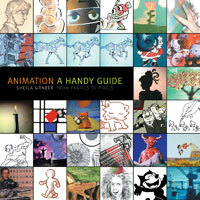 Sheila has just written a book, with supporting DVD, called Animation: A Handy Guide. 16mm film by Sheila Graber. More information about her can be found on the Sheila Graber web site. as a ‘how to’ development of skills, and as a personal experience. is before you take into account the DVD. very clear and easy to use and the pathways are seemingly endless. perfect partnership between a print and electronic book. about to enter a magical world.